Recipe and photo from Kraft. MIX ingredients in 2-qt. microwaveable bowl. MICROWAVE on HIGH 5 min. or until VELVEETA is completely melted, stirring after 3 min. 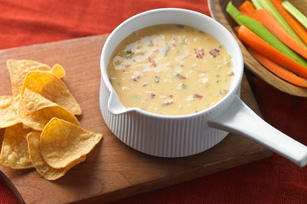 SERVE warm with assorted cut-up fresh vegetables, crackers or tortilla chips.